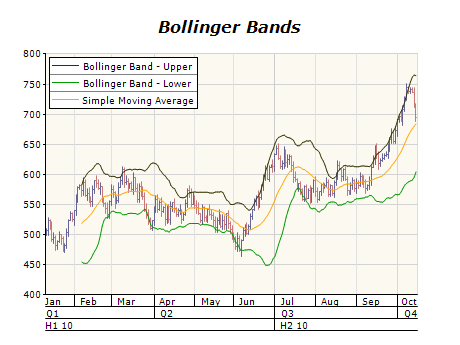 Bollinger Bands are drawn at a given number of standard deviations from a moving average of a price. Since standard deviation is a measure of volatility, the bands are self-adjusting: widening during volatile markets and contracting during calmer periods. Bollinger Bands were created by John Bollinger. An Envelope is comprised of two moving averages. One moving average is shifted upward and the second moving average is shifted downward.